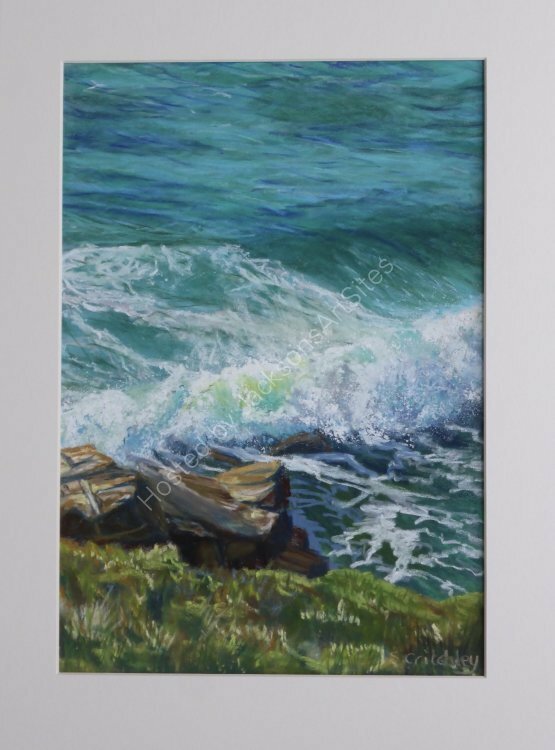 In soft pastel on Pastelmat card, mounted and framed in white. Image size 23 x 33 cms. Mounted and Framed in a natural wood frame, overall size 40 x 50 cms.